Last week Dr. Oz hosted a show about “killer” sleeping pills. Now, there are lots of reasons to be cautious about sleep meds, including the fact that some leave you feeling groggy in the morning. The FDA in January lowered the recommended dose of zolpidem (a.k.a. Ambien) from 10 mg. to 5 mg. for women, based on reports that women tend to metabolize the drug more slowly than men. The resulting morning grogginess can impair driving. Consider the opener to the show. “Women taking less than 18 pills had a 3½ times greater risk of increased mortality,” Dr. Michael Breus chimed in. Oh really, doctors? Reports of the study you’re referring to first came out a full year ago. 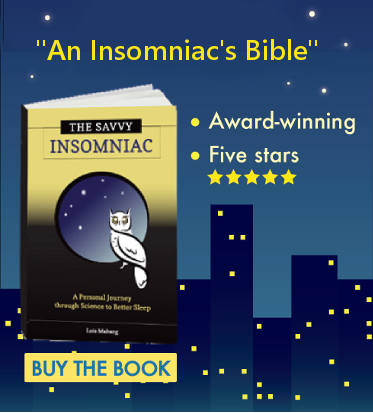 That study had serious limitations, including that the data did not show whether the increased mortality was in fact linked to the use of sleeping pills or rather to insomnia itself. Minor point. There is nothing “breaking” about this news. But it’s a hell of an opener if your aim is to demonize sleeping pills. “Sleeping pills alter your state of consciousness,” said Dr. Breus, preparing us to understand the harm they do. Well, duh. If I wanted to remain in a waking state all night, I’d play Monopoly and sip Kool-Aid. “Alcohol moves out of your system faster than sleeping pills,” he added. The statement is misleading, at best. Some sleeping pills have very short half-lives. (Take Sonata [zaleplon] with its half-life of one hour.) Others stick around in your body for many hours. Like alcohol, sleeping pills can produce a “hangover” and cause traffic accidents, Breus said. Let’s look more closely at the comparison. The FDA has received about 700 reports of zolpidem-related driving incidents in all, according to The New York Times. Contrast this with the nearly 9,900 traffic fatalities attributable to alcohol in the year 2011 alone. One sleeping pill-related driving incident is one too many, I think we’d all agree. But in withholding information about the scale of the problem, the doctors imply that the danger sleeping pills pose to driving is greater than it actually is. 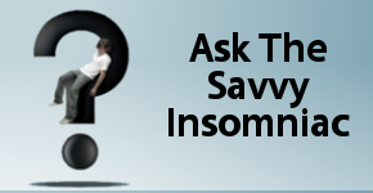 Many sleep experts think sleeping pills are over-prescribed, and I do not doubt this claim. Prescriptions shouldn’t be tossed out like candy in cases where there are safer ways to get sound sleep. But sleeping pills can be a godsend for people constitutionally predisposed to poor sleep. Dr. Oz’s show was not so much alarming as alarmist. It did nothing to promote thoughtful dialog on the safety and appropriate use of sleeping pills. I should have known from his huckster-ish tv promos, but for some reason I thought he was just an egomaniac. Dr. Oz et al compound many medical errors by under- prescribing pain meds in post-operative patients, too. Of course we live in an over-prescribed culture, but this kind of headline grabbing scares careful docs and patients. Thanks for the corrective.